This homestay in the city promises to take good care of your furry baby while you are away. And it's kennel free! Remember Paramita Das, the only dog behaviourist in Kolkata who counsels pet parents and trains dogs? An animal activist and a pet lover to the core, she has opened up her house as a dog homestay and is willing to take care of your pawpers (following a careful interaction with pet-parents) while you are away. With keen understanding of dog behaviour, Paramita's dog homestay is absolutely cage and kennel free and is high on ensuring your pup stays happy, fit and well nurtured. She is also careful about your doggo's diet and habits. So, if your pet baby is used to home cooked meals, she will provide just the same as you instruct. This apart all medicines, packaged food supplies must be provided by you. Charges per day are INR 700 or INR 1000 (for big breeds like St Bernard or Great Dane), and Paramita takes in pups for a maximum of 6 weeks. 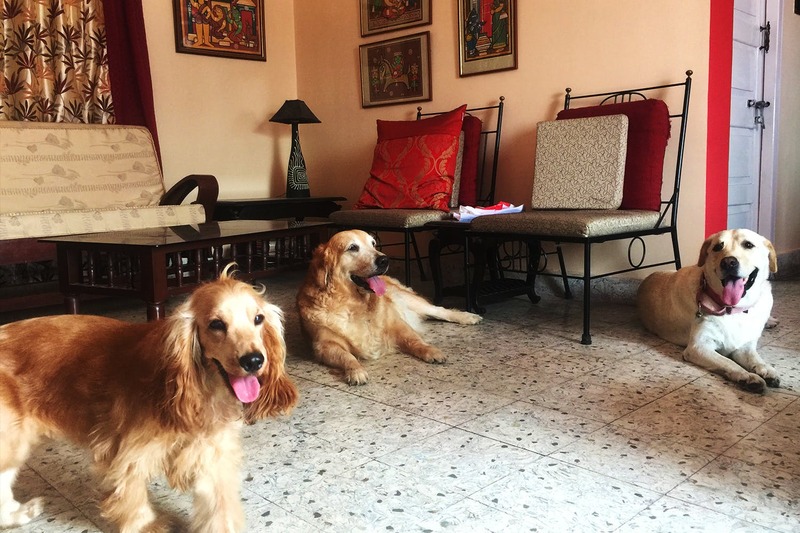 Not taking more that 3-4 pups at a time and particular in not keeping dogs with biting history, Paramita's place is great to let your pupper socialise with other doggos.